Finally, an innovative solution that protects both your wine and your valuables. 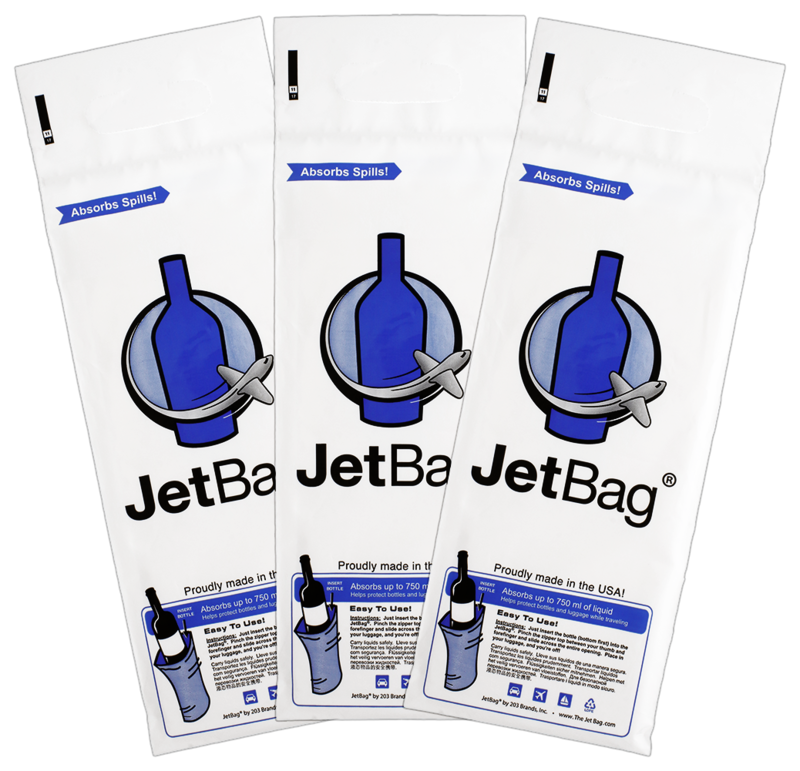 The JetBag protects your wine bottle from the abuse your luggage will endure while traveling and the ultra-absorbent material on the inside of the Jetbag protects all your valuables inside your luggage in the unlikely event your wine bottle breaks. 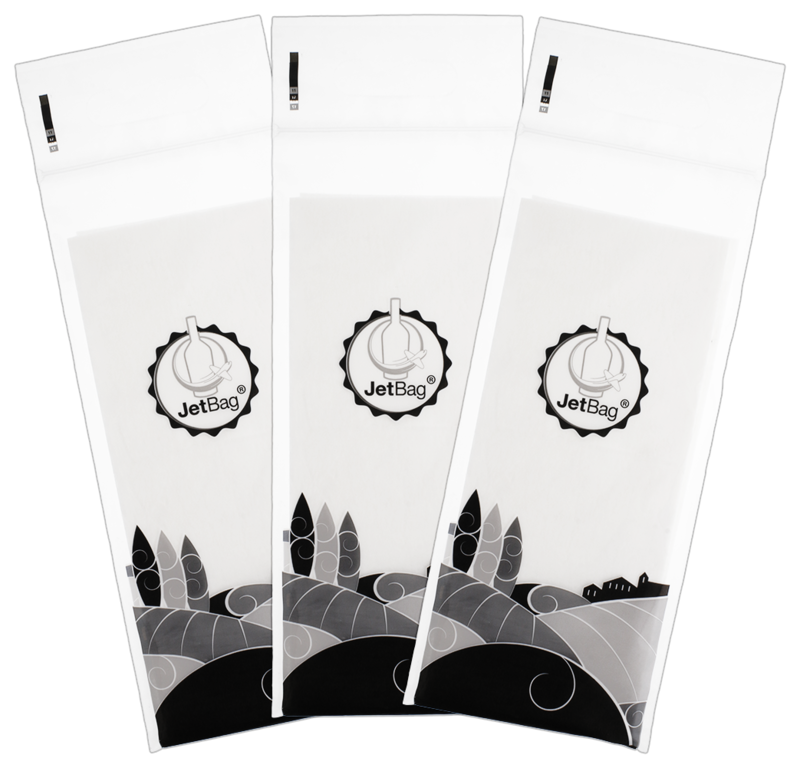 The absorbent padding will rapidly absorb 100% of any liquid spilled, up to 750ml. 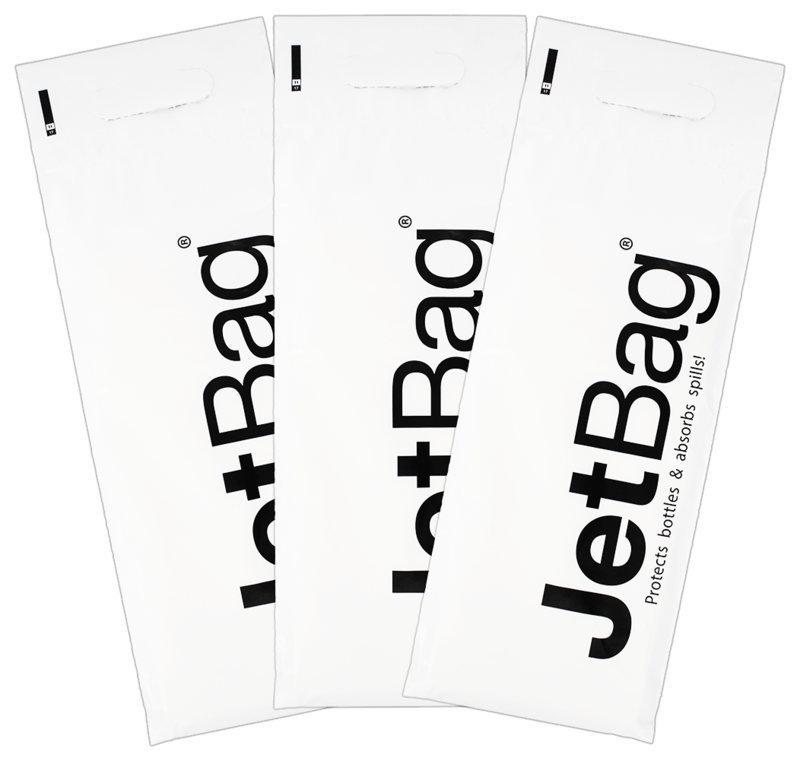 The JetBag is also equipped with a ziplock type seal to ensure no liquid leaks out. 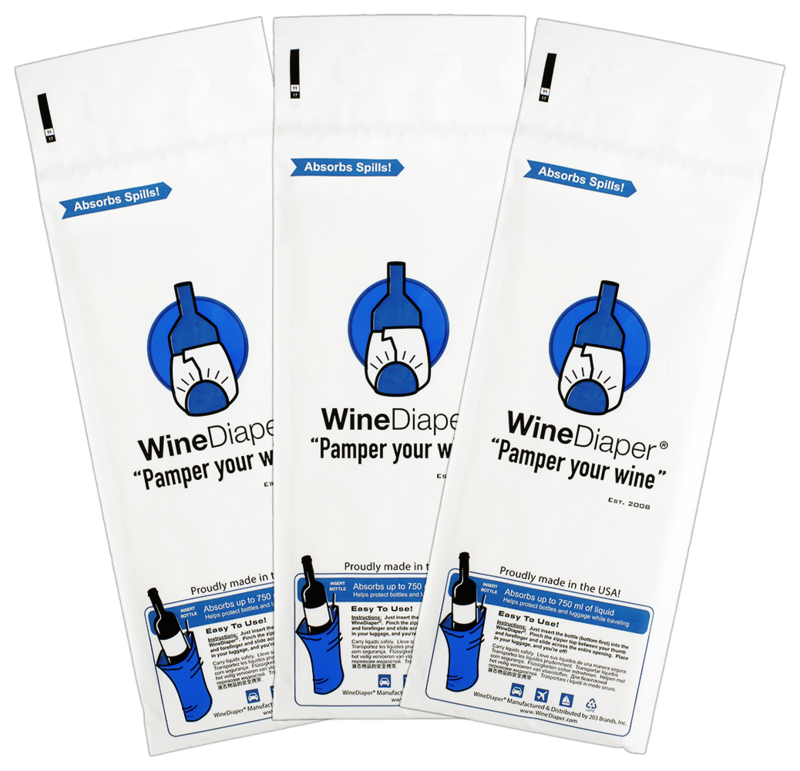 Simply slide your wine bottle, conditioner or glass beer bottle, oil, vinegar, etc. into the bag, seal the bag closed and you are on your way! Easy and Effective!